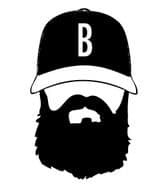 Beardilizer is blazing digital trails with our free mobile app, “Beards App.” Simply put, Beards App is the number 1 social app dedicated to beards. The app was created to offer a convenient platform that brings beard enthusiasts together, and we’re pretty confident that our app is the best at what it does. The app is available for both Android and iOS smart phones. Once you have downloaded the app, getting started is easy. Just provide your date of birth, and we then give you the option to connect with your existing social media profiles (such as Twitter, Facebook and Foursquare) to utilize our app’s social features. Once connected, you can also invite your friends to get on board, and you can also subscribe to our mailing list if you so choose. After the initial setup process, you’ll gain access to the app proper. From here, there are a few different features to choose from. Allow us to break them down for you. It is here that you can chat with fellow beard enthusiasts and show your own mane by submitting photos. Our wall is already very active, and we invite you to come and join in on the conversation. Get the latest news on beards and beard culture here. 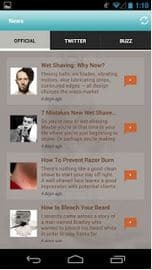 First, you can check out our own official feed, which collects the best articles on beards we find. Our app also provides feeds from our Twitter profile and even more beard-related articles can be found under the Buzz feed as well. From barber shops to tattoo parlors, we list notable places of interest for the bearded gentleman. Think of it as a compass to awesomeness in your area. For the competitive beardsman, we list the dates and times of notable bearding competitions. This feature is very convenient for serious beard competitors, and one can even personalize the calendar by saving events to the My Events tab. Just click “I’m Going” under the Going tab of a particular event. 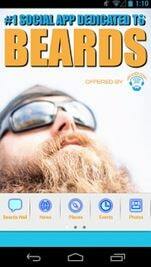 Beards App users can also post messages to events as well as photos. This is a great way for beard enthusiasts to network and keep in touch with others who share their passion (and eccentricity). Looking to buy beard products, but don’t know where to begin? Our reviews section lists honest reviews and recommendations for popular beard products, including our own. After all, an informed beard is a happy beard. So there you have it, our Beards App is a great companion for anyone who loves beards. Feel free to check it out today on your smart phone and also be sure to keep an eye out for our next Facebook poll on Monday, 4-16-15. Two moustaches will enter, only one will win. You decide their fate.